These double-ended fantasy playing cards were designed by F. Christophe from Berlin in a delicate Art Nouveau style. 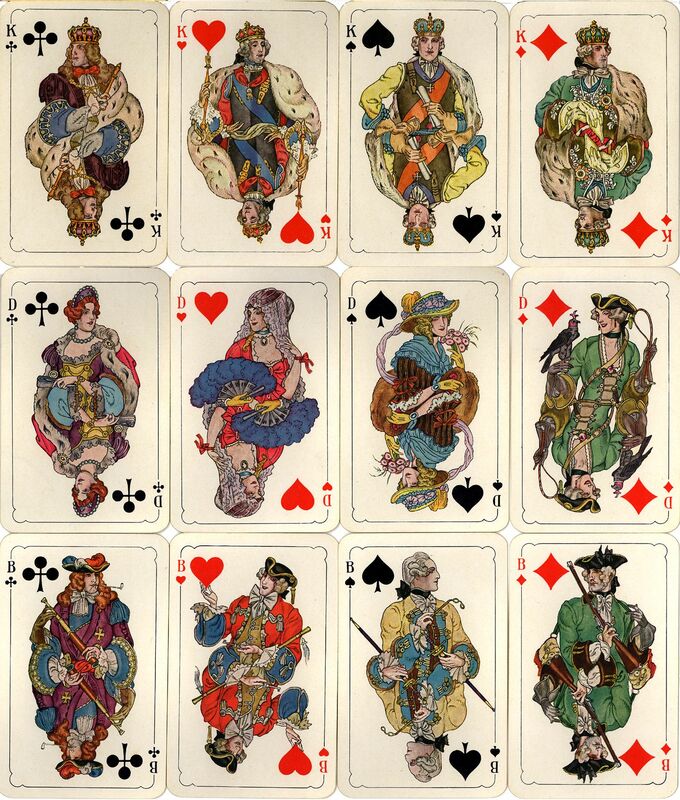 Above: the twelve court cards from Lattmann's 'Die Spielkarte Der Feinen Welt' published in 1923. The box, the ornamental back design in yellow/pink, the Ace of Hearts with the German tax stamp and the Joker are shown below. Two different versions of the Queen of Diamonds are known, and advertising editions of this deck are also known e.g. 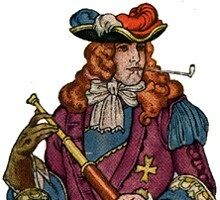 Reemtsma cigaretten. Images courtesy Barney Townshend.